Fort Edward, NY is a community steeped in rich history and heritage. Prior to European settlement, the land was known as the "Great Carrying Place"-its location on the Hudson River, just south of Glens Falls, allowed it to be used as a portage by native peoples for thousands of years. During the French and Indian War, the original fort, Fort Lyman, was renamed in honor of Prince Edward, Duke of York and Albany. (Nearby Lake George was named for Edward's grandfather, King George II.) Many of the town's traditional values date back to the Revolution, when the village's strong connection to the Hudson River could be utilized by American troops. Local businesses and industries provide many jobs in Fort Edward. Paper manufacturing, sawmills and clothing mills were the platform that helped develop Fort Edward; many mills are still in operation today. Fort Edward offers a plethora of recreational opportunities. 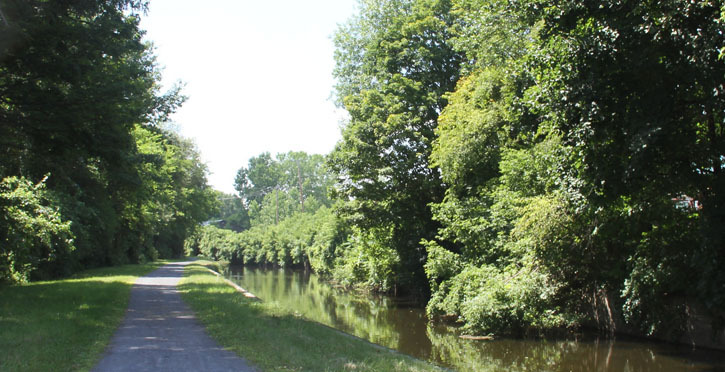 The Feeder Canal Bike Trail provides a safe path for biking and walking. And Fort Edward is easily accessible by rail! Amtrak railroad lines run through the village, making two stops a day. Local organized sports like Little League are popular. In fact, Fort Edward built the first electrically-lit Little League Park in the United States. If you're looking for a fun and educational afternoon trip, you can learn all about the colorful history of Fort Edward by exploring the Old Fort House Museum. Its deeply rooted family values and community spirit makes this town a wonderful place to live. Come visit Fort Edward today!